The smallest in the Evolution sliding mitre saw family, the R185SMS is ideal for portability, weighing only 8.8kg. Perfect for working in confined areas without compromising on cut capacity and versatility. Powerful 1000W hi-torque motor with optimised gearbox & blade system. 0° - 45° bevel tilt and 50˚ - 50˚ mitre covers all common cutting angles accurately & easily. 210mm x 56mm max. cross cut capacity. Compact, lightweight & robust design, weighing only 8.8kg. 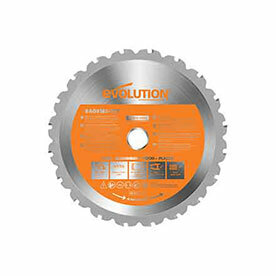 Compatible with the Evolution Mitre Saw Stand and 185mm Diamond blade, (sold separately).